Groove Ring is the world's first breathable silicone ring! This means that you get both the comfort and function for your active lifestyle -- no sweaty ring or wetness under the band area! These rings are the ultimate in comfort in that you can't even feel them once they are on. This is THE perfect ring for active lifestyles and those who love to play and work hard with their hands! 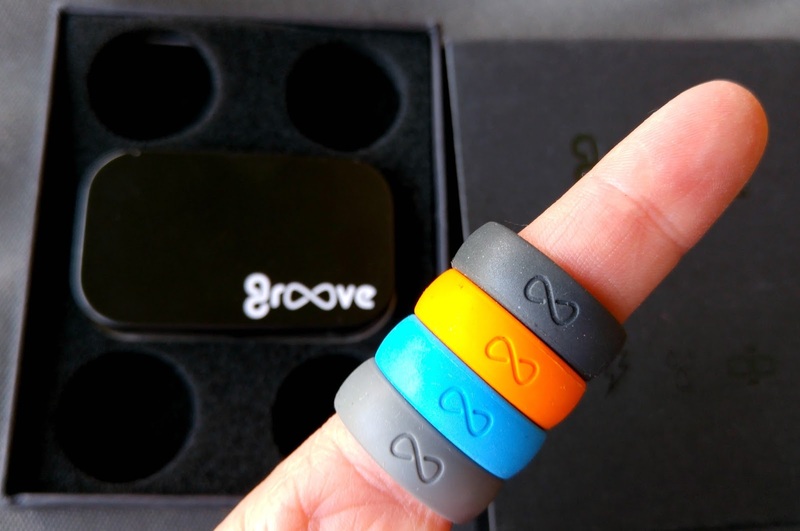 :) Groove Ring was created by an Alaskan Tour Guide, Peter Goodwin who wanted to provide folks with a tough, practical activewear in and out of the water. 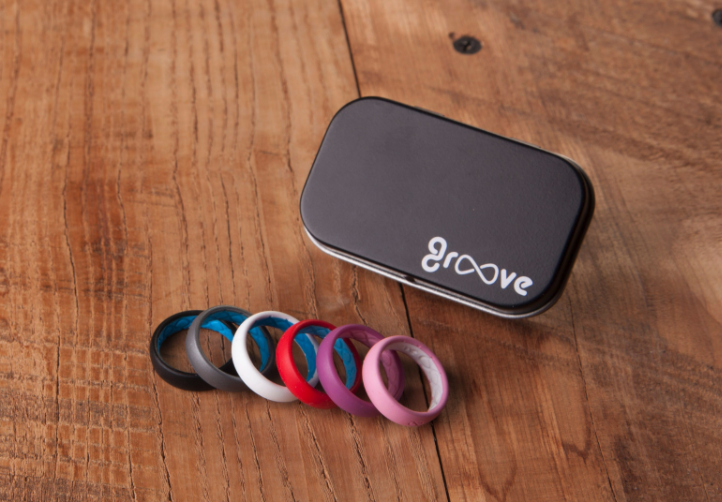 Whether you’re an athlete, adventurer, "hands on" professional, or love to venture the great outdoors, Groove Rings are the active, silicone ring designed just for you. 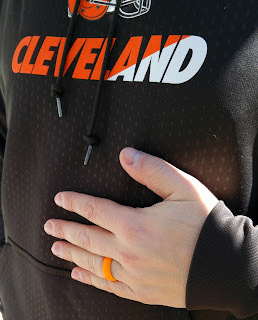 The world’s first breathable active ring that is not only comfortable, but functional, Groove raises the bar on traditional silicone rings with its flexible material, patent pending inner breathable design, and bold colors. For those who work hard with their hands, traditional precious metal bands just aren’t practical. They can snag on tools or clothing when working, damage sensitive materials, or even get lost when removed for safekeeping. Say goodbye to bothersome blisters from wedding rings with the innovative design of Groove Rings! Breathability: With patent pending breathable features, Groove is the first active silicone ring that keeps air moving in and allows moisture out. The infinity loops, airports, and inner arch lessen the contact of your finger with the ring, giving it some breathing room. Lifetime Warranty: Did your ring rip off while rock climbing, or tear on the grocery cart while picking up dinner? Either way, you’re covered! If your ring ever rips, stretches, tears or you lose it, you can exchange or replace it. Low Profile: With a super low profile, these soft, silicone rings are designed to be worn close to the skin. Having your active ring snug on your finger is essential to prevent from snagging on objects your hand comes into contact with on a daily basis. Liquid Poured: The first type of ring to be liquid injected, this process gives Groove its perfected look with limited mold lines, checks or flaws! My husband is very active and recently caught his metal ring on something and it cracked. It looked like those rings you get out of a quarter machine. I was upset, it did last 17 years, but I was also thankful he did not damage his finger or hand when the ring got caught and broke. We had been talking about his getting a silicone ring for a while and since this accident it was top on our minds. When my husband would do yard work, workout, etc. he takes off his wedding band and leaves it in the bedroom. Sometimes he might forget to put it back on for a day or so... With the silicone rings you can wear them for all activities and no need to take them off and worry about putting them back on! 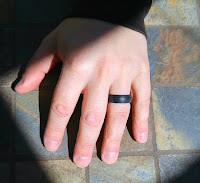 My husband has been wearing his Groove ring for about a week now and love how breathable it is. He is not having to worry about it snagging or sweaty fingers. It is totally comfortable and stylish. SO stylish that you can get Groove rings in a number of colors and accessorize to match you outfit or mood! Get your Groove on and bust out the bold, breathable design of this durable silicone ring. More than just a wedding band, Groove Rings beg to be worn, shown and tested every day – no matter what life may bring your way. Make a statement with your activewear, visit www.grooverings.com to purchase the different Groove Ring designs.